Ponte de Lima charmed me at first sight. When I revisited a couple of years later, Portugal’s oldest town nestled itself deep inside my heart and is never coming out. It’s got all the right ingredients for me: plenty of gardens, fancy mansions and other historical buildings, tons of restaurants and is surrounded by gorgeous Minho countryside. It’s also one of the places where I recommend taking a rest day if you’re following the Portuguese Camino de Santiago. Here are some of the things to do in Ponte de Lima, a town a I never tire of. Note: If you want to stay overnight, check out my Ponte de Lima accommodation picks at the end of this post. Many moons ago, when Roman troops were marching through Portugal, they reached the River Lima but refused to cross. The area was so enchanting that they concluded this had to be the legendary River Lethe, famous not only for its beauty but for its ability to wipe out the memories of anyone who crossed it. The only way the captain could persuade his soldiers that they wouldn’t forget everything and everyone they knew was to cross the river alone and call them over by name. This legendary tale explains the wooden models of Roman soldiers in the riverside car park. Once across, the Romans built a bridge which became the only safe place to cross the Lima for centuries and formed part of the Roman road from Braga, their seat of power in Portugal, and Asturias in Spain. The stone bridge was rebuilt in the 14th century and is still a major focal point of the town. Ponte de Lima has been dubbed Portugal’s ‘most floral town’. It’s easy to see why; even the road leading to the historical centre is lined with flowers. The air is often full of the sweet scent of wisteria dangling from pergolas and arches while pots of petunias and pansies add splashes of colour to the historical centre. The creative displays at the annual International Garden Festival, which is open from May to October every year, are also worth a visit – the individual gardens vary in appeal and you can vote for your favourite. The theme and the gardens change each year, although the winning garden from the previous year stays on for one more year. Tip: To get to the International Garden Festival, cross the Roman bridge away from the town then turn left to walk alongside the river. Turn right to find the entrance beside the Nautical Centre. It’s about 500 metres each way so if you don’t want to walk very far, you may prefer to drive. In the themed gardens of Jardims Temáticos do Arnado, on the other side or the Roman bridge, you can see examples of garden fashions through the ages such as the Roman Gardens, the Renaissance Gardens and the Baroque Gardens. 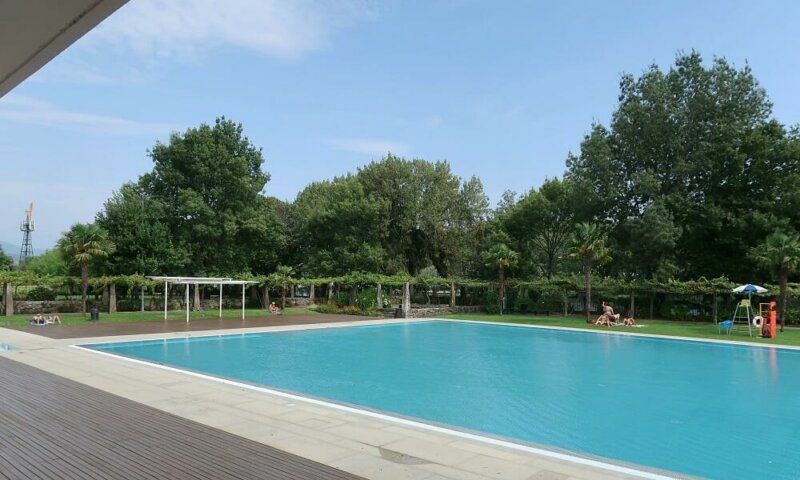 Next to the International Garden Festival site is a lovely open air swimming pool surrounded by lawns, trees and flowers. You can just about see the river through a gap in the greenery, too. There’s an onsite café, changing rooms and the usual facilities and you can buy a very reasonably priced daily pass or a weekly one. Museu dos Terceiros (Museum of the Third Order) hosts a collection of medieval and baroque religious art and gold. The complex of museum buildings stem from the 15th century and was built as a place for lay people to practice their religion without having to commit to the restrictions of a monastic lifestyle. 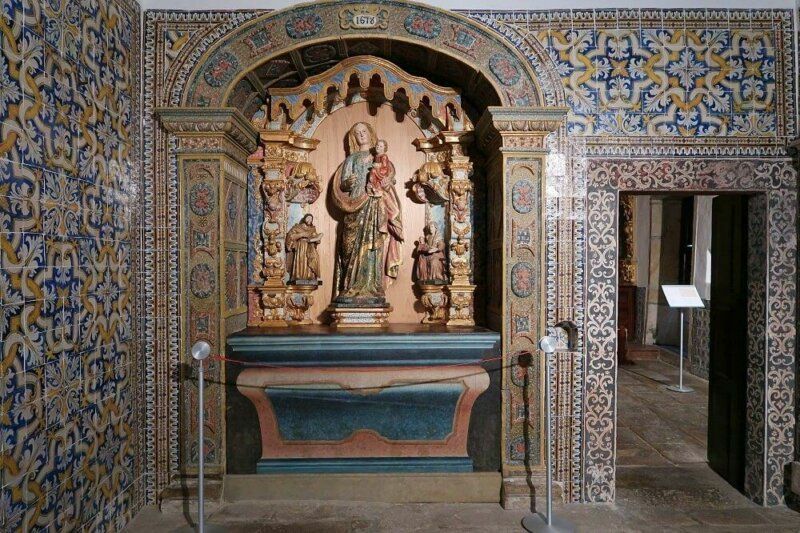 Nowadays, you’ll find paintings, statues and azulejos dating from that period through to the 19th century, including a Rococo church, Manueline chapel and a stone with the Devil’s hand print. There is information in English throughout. Rua dos Terceiros, 209. Open Tuesday to Sunday from 10 am to 12:30 and 2 to 6 pm. Closed for most public holidays. €2.50 full price but discounts apply. For a more modern, quirky experience, the Toy Museum offers an intriguing insight into Portuguese playthings from the 20th century. You’ll find it in the red building just across the Roman bridge – I have yet to experience this so let me know how you get on. Ponte de Lima has a wide avenue of plane trees to promenade under and a place to simply relax on a bench and enjoy the River Lima. The Avenida dos Plátanos joins up with an Ecovia, a walking and cycling path that connects Ponte de Lima with various places of interest such as the nature reserve at Lagoas. 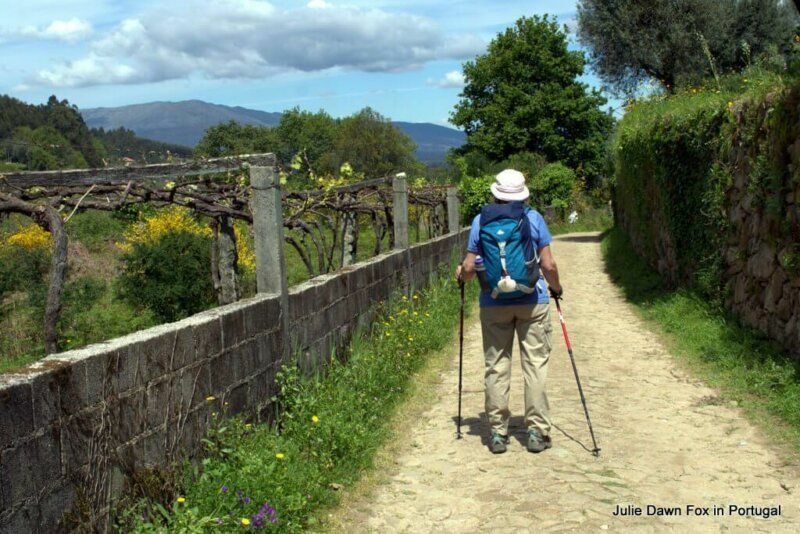 See the Visit Ponte de Lima website for more details of these Ecopath trails. You will undoubtedly spot some pilgrims when you visit Ponte de Lima. The Portuguese Camino de Santiago passes through the town so if you’re in the mood for a more serious walk in the Portuguese countryside, you can either follow the yellow arrows for a while and then turn back when you’re tired or follow the Way of St. James all the way to Spain. This post explains what to expect from the Camino route north of Ponte de Lima. If you’re the kind of person who likes having your photo taken while sitting on a bronze bull or next to a famous figure, Ponte de Lima will keep you entertained for a while. When I was there, groups of tourists were taking turns to pose and smile in front of the statue of traditionally clothed villagers. Ladies in sunglasses snuggled up to a bronze man on a bench while their lovers snapped away without a hint of jealousy. The little boy perched on the bull wasn’t so happy though. He was crying to be taken down but his family insisted on taking a photo first. Poor little boy wasn’t allowed down until he’d had his picture taken. Take a wander around the historical centre and you’ll find various painted tiled panels depicting elements of the town’s long, rich history. Among my favourites are the colourful panels on the municipal market and the one outside A Tulha restaurant. 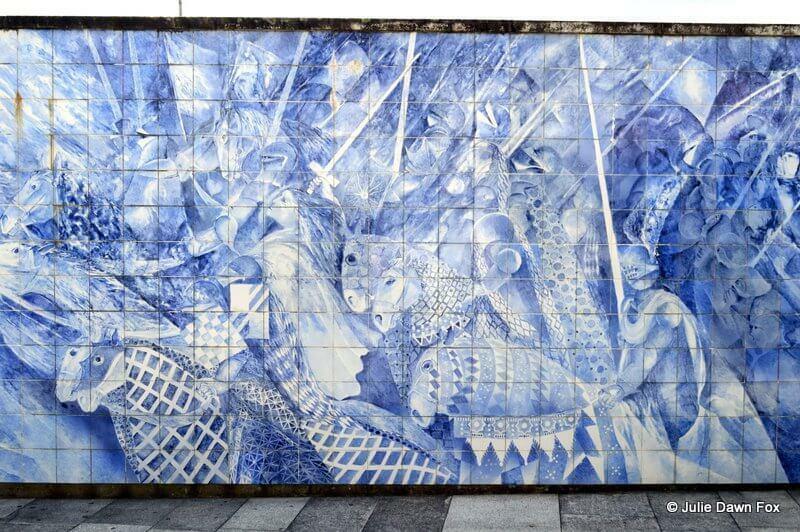 This modern azulejo panel is on the wall outside A Tulha restaurant in Ponte de Lima. 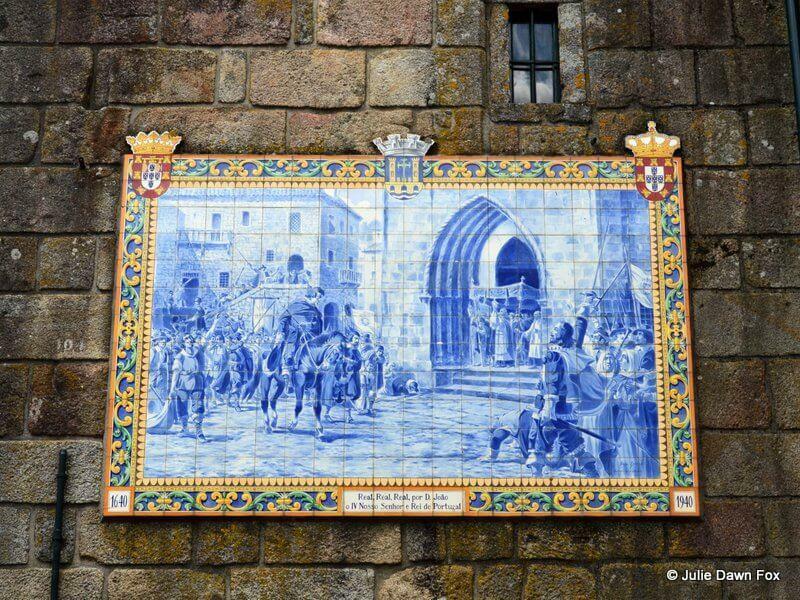 This more traditional azulejo shows King John IV arriving in Ponte de Lima in pomp and style. In the heart of the medieval centre is the remarkable Gothic parish church, notable for its interior and exterior architecture. One of the statues is of Blessed Francisco Pacheco who locals would love to see canonised. 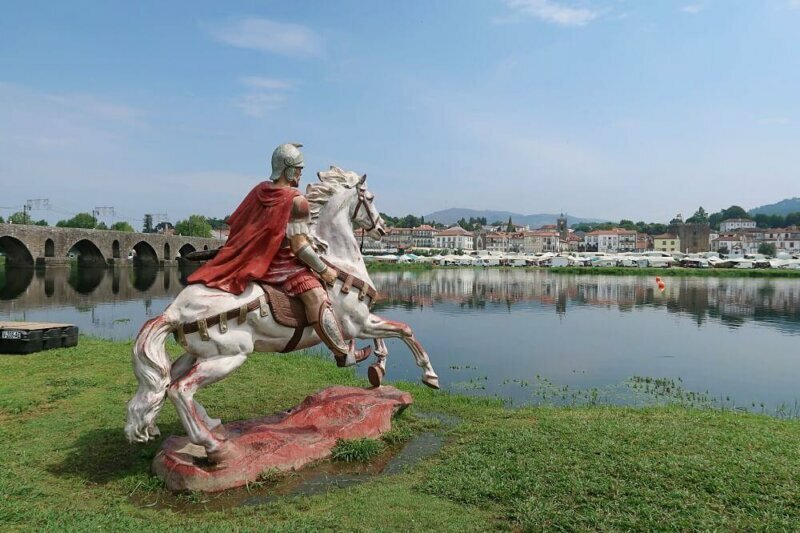 Read more about his story and that of medieval Ponte de Lima in this article. In its heyday, Ponte de Lima had more than its fair share of wealthy residents, several of whom could afford to have their own church or chapel built. Take a wander around the back of the historical centre and you’ll find Capela das Pereiras among others. My favourite is the tiny Capela de São João near ExpoLima. As well as the municipal market which supplies residents with fresh produce every weekday morning, a fortnightly tented market takes over the sandy car park on the river bank. You can buy all manner of textiles, household goods, cheap clothes and shoes here. Tip: When this Monday market is not on, you can park for free by the river. On market days, use the overflow car park near the InLima Hotel. 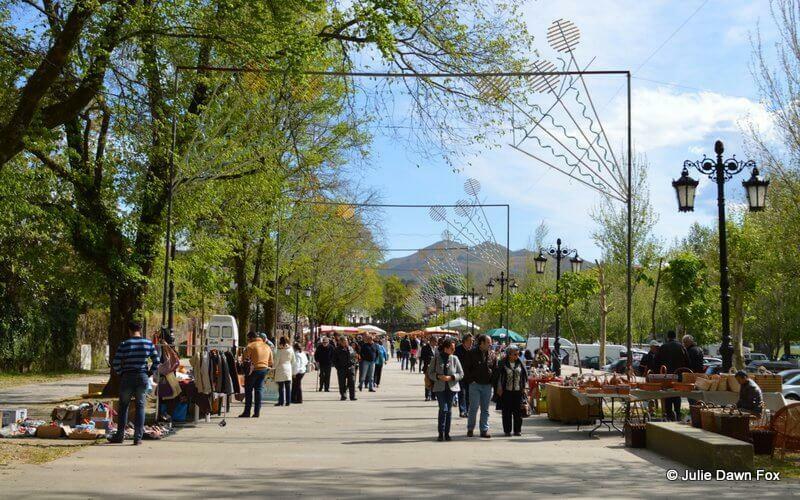 Of more appeal to me personally are the Arts and Crafts market (every 4th Sunday) and the Antique market (every 2nd Sunday) which line the path to the right of the medieval bridge and the plane tree avenue beyond the municipal market to the left. On one of my visits, I arrived on a Sunday at lunchtime and the town was swarming with people, including a fair proportion of Spaniards, who’d come to Ponte de Lima for a leisurely lunch. There are plenty of restaurants, several of which overlook the river. I can personally recommend the veal steak at A Tulha. I also had a very nice fish with onions at Sabores do Lima. 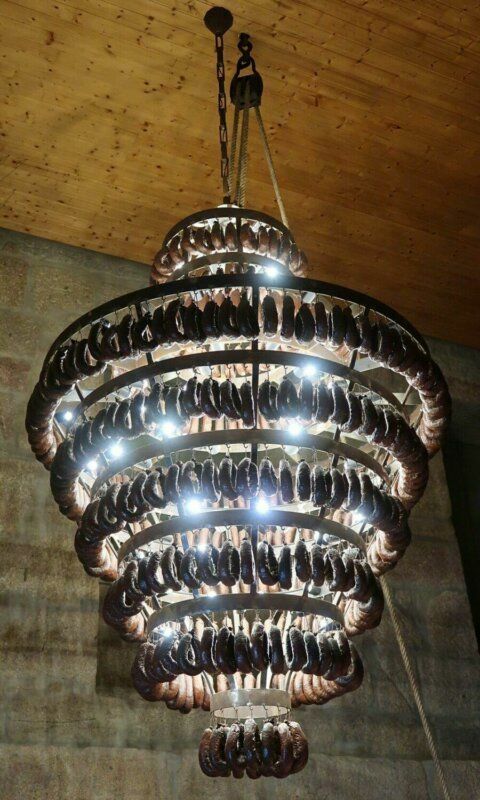 A no-frills local restaurant serving good Portuguese food is O Celeiro but if you want a modern place near the river, Casa da Terra is a good option – try their smoked meats and go inside to see the sausage chandelier (I kid you not). I wasn’t brave enough to try the local speciality, arroz de sarrabulho (rice with shredded pork and blood) but I thoroughly enjoyed my charuta (cigar-shaped cake which consists of a sweet, eggy filling wrapped in rice paper. The first weekend of September marks the town’s annual festival, Feiras Novas. Three days and nights of colour, music and all manner of activities await. I once went to Ponte de Lima specifically for this festival but I couldn’t stand the crowds for long enough to watch any of the parades (I’m becoming increasingly uncomfortable in big crowds so this is a personal perspective, not a comment on the event itself). You need to get there early to nab a spot by the side of the road well in advance if you want to see the floats and costumed people. Tip: You may wish to do as the locals do and bring a stool. And a hat/sun protection. You could spend an afternoon, or longer, in Ponte de Lima on this 3-day tour of the Minho’s Historical Charms. If you only have a day to spare, consider a day trip from Porto. This tour concentrates on just two towns, Ponte de Lima and the lovely historical city of Barcelos. If you’re driving, once you reach the town, just keep heading towards the river for the free parking, unless it’s a market day. Be warned that signposting in this part of northern Portugal is, quite frankly, rubbish. If you’re hiring a car, bring your GPS gadget or rent one. If you think I’m exaggerating, one roundabout I encountered had four exits and not one signpost! There are no trains to Ponte de Lima so your other options are to come by bus or organised tour (see above). 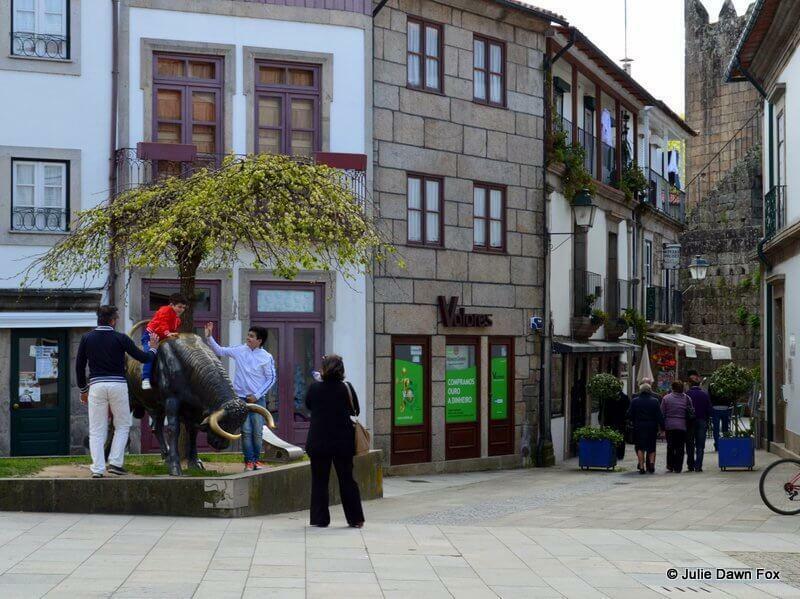 Within the town itself, you have Mercearia da Vila, inside a former traditional grocery story in a historical square. There are stairs and no elevator but the well-appointed rooms and helpful staff are worth the slight exertion. Choose a room to suit. Casa do Pinheiro is a traditional manor house with a small garden and pool in the historical centre of Ponte de Lima. Period furnishings add the the charm but you need to be able to overlook the stuffed animal heads in the hallway and a couple of other rooms. Check photos and prices. Hotel Império do Norte is a comfortable, clean and modern 3-star hotel near the river, right on the Camino. Try to get a room with a river view. For boutique luxury that you’ll never want to leave, try Carmo’s Boutique Hotel. It’s a little out of the town centre so better if you have a car but there is an onsite restaurant and beautiful grounds to enjoy. Check availability and prices. Hotel Paço do Vitorino is a 4-star Ponte de Lima hotel a few kilometres from the town. This former palace has been tastefully restored 16th century palace has gorgeous grounds, an outdoor pool and highlights its wonderful historical architectural features. Comfort, style and luxury are evident throughout. Check availability and photos. Quinta do Ameal is a wine estate with recently renovated luxury chalets and studios for rent. Surrounded by vineyards, this secluded accommodation offers the opportunity to appreciate vinho verde wines while relaxing in peaceful surroundings. There’s an outdoor pool, too. See photos and check current prices. 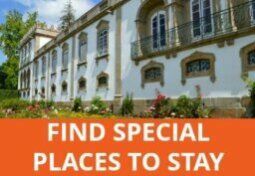 Or for a self-catering option on a former country farm estate, try Quinta da Aldeia. Note: Some of these are affiliate links, which means I may receive a small commission if you book through them, at not extra cost to you. A friend and I will visit Ponte de LIma in early October and plan to stay two nights. We also want to go to Braga. Would it be possible to take the tour and to Barcelos and then dont go back to Ponte de Lima but go to Braga instead. Another question- will it be possible to take a train/bus from Santiago to Ponte de Lima? 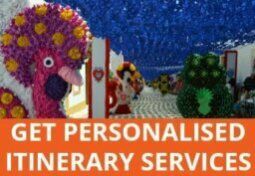 Hi Marietjie, If you take a private tour, you can customise it to suit your plans, including having a different drop off point. 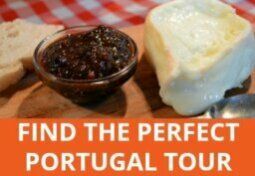 If it’s a group tour, there is no obligation to complete the return journey to Ponte de Lima but you’d need to make your own arrangements for onward travel to Braga. Looks like a lovely place. After digging out a map we will unfortunately not be able to include it on our visit this September on our 1st visit to Portugal. Hopefully we will return and see it then. One small suggestion….perhaps include a small map to show location on your visits to save hunting around for a map. Great info on places to see. I usually include a link to Google Maps in my articles as I haven’t been able to find a suitable map plugin for the website so far. We visited Ponte de Lima on family holiday a few years ago and were so impressed with the town and the surrounding area we bought and restored a ruined farm house. It is an excellent base for exploring the towns and beaches in the north, visiting the national park, day trips to Spain, playing the excellent local golf courses, enjoying the stunning local food and wine or simply chilling out by the pool. The Quinta looks lovely, John. And I’m not surprised you chose to buy there. Thanks for taking the time to report back after your trip. I’m so glad it lived up to your expectations, especially to the point that you’d like to return. What was the highlight of the trip for you? Hi, Julie. I too fell in love with Ponte do Lima the first time I bicycled there on my way from Lisbon to Santiago do Compostela. The year was 1987, and the town was relatively untouched by tourism. I made a painting of the bridge and church in 2008 upon returning to the town. You can see my painting of what I believe to be one of the most lovely places in Portugal at http://www.davidsommersart.com/landscape-paintings.html (the first painting). Lovely painting, David. Not just the Ponte de Lima one, but all of them. I love your style and use of colour. Thanks for sharing the link. Hi Julie! 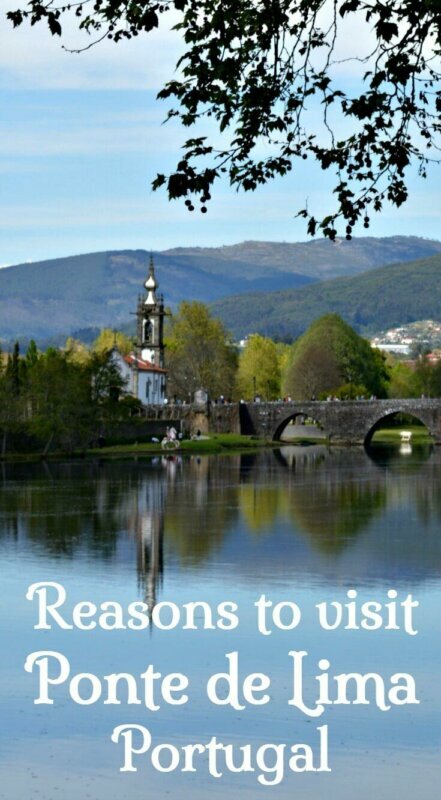 I’m from Ponte de Lima, i was searching for some information about my home town when i found you this page! I’m even more pround of living here after reading your great description about Ponte de Lima. Thank you Julie! You should come here more times, we have new things every year..
Hi Mi, I’m very happy to hear that you approve of my description of your home town. It’s a beautiful place and one I could happily live in myself, I think. I will definitely be back, I just don’t know when! There was only one thing missing in your article: the people! They’re so warm and welcoming! And the Town Hall deserves praise for their great management and friendliness to residents and visitors. 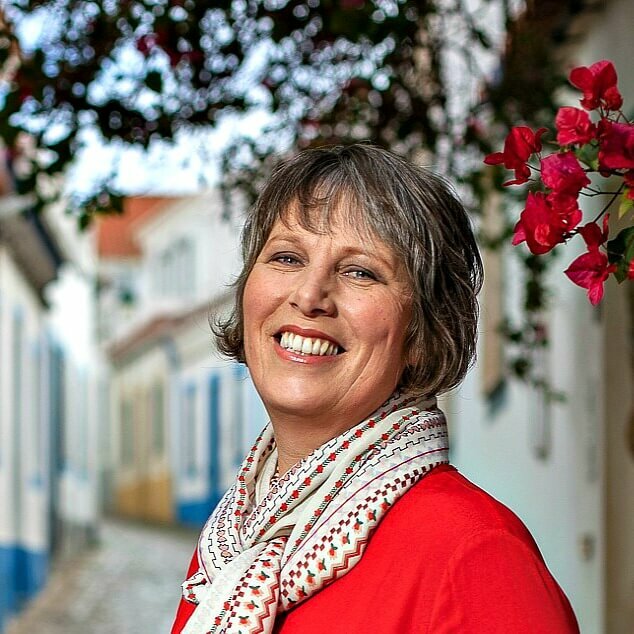 Hi Julie, nice descriptive piece on Ponte de Lima, it gives us a wonderful vision and paints a picture of a town I would love to see. Thanks, David. It’s kind of you to say so. I love the place and would recommend it to anyone. I would advise thinking twice about going during Feiras Novas (1st weekend of September, I think) as unless you cope well with hoards of people, it’s a bit chaotic and I found it overwhelming. Ah, Julie- it looks like exactly my kind of place, and you’ve set me off planning and scheming again! I envy you that September visit. I think you’ll love Ponte da Lima, Jo. It’s hard to imagine anyone not loving it but even so, from what I know of you, it does sound like just the spot for you. Excellent overview…just the right amount of detail, fun to read and hitting all the points that make a trip memorable. Thanks for another great article. Thanks for the encouraging feedback. It’s reassuring to know that you enjoyed reading it. I’ve just been organising my next trip up north and am really looking forward to it. Very nice – it’s a lovely place, although we haven’t been there for a couple of years. 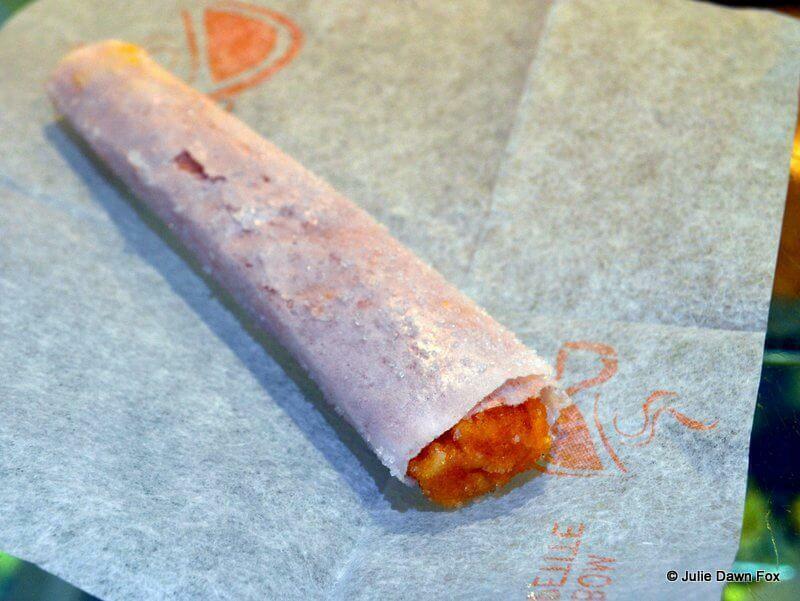 And I can vouch for the “arrôz de sarrabluho” – it’s great if you’re a determined carnivore with a taste for offal! Make sure you have a big appetite!